Learning more about how odors are produced and the way they’re released can help industrial facility leaders make the right odor control decision for their site. Biotrickling filters, which feature microorganisms that reside within synthetic media. Irrigation water is only used to rinse metabolized compounds away, and is not recirculated. Serious odor issues require a serious approach that attacks every angle of the problem. If your odor control expert doesn’t take the time to analyze your products and processes to tailor a solution that fits your site’s individual needs, find one who does. It could mean the difference between a problem that won’t go away and clean, odor-free air over the long term. 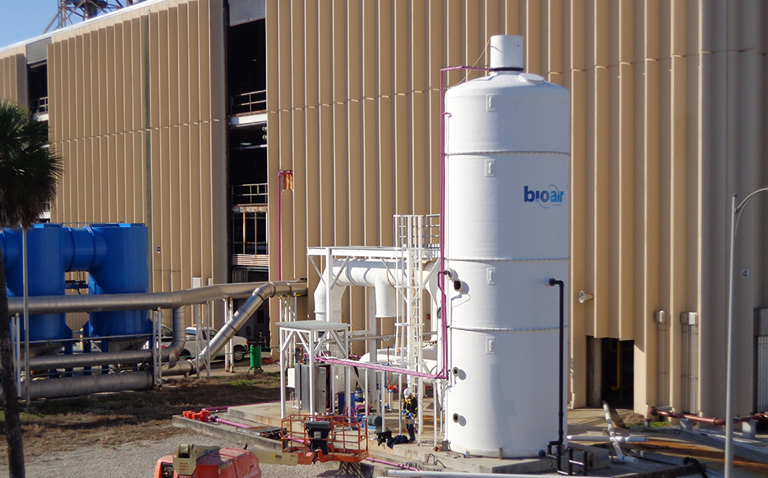 It all comes together with BioAir Complete®, our consultative approach to odor and emission control. If you’re ready to discuss an odor problem at your site, request a consultation. If you want to learn more before we talk, read our introductory guide to industrial odor control.